Not only was this causing Avaya SIP channel licenses to be used unnecessarily, there were also knock-on implications during SIP Server failover. We also identified a problem which was causing Verint voice recording to fail because the Trunk ID in CTI events when delivered to an Advisor contained the SIP trunk ID rather than the ISDN trunk ID that the call was actually on and therefore Verint could not initiate recording of the call. Transfer calls back to External Routing Points (ERP) on the Avaya switch via an intermediate VDN which is not monitored by Genesys. To do this, we modified the access code on each of our Avaya ERPs. 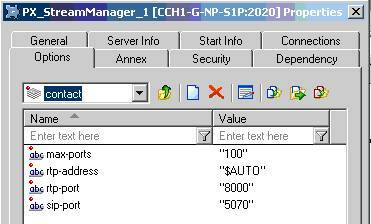 In the example shown below, 45100 is an Avaya ERP which is monitored by Genesys and 47100 is an intermediate VDN which is not monitored by Genesys. 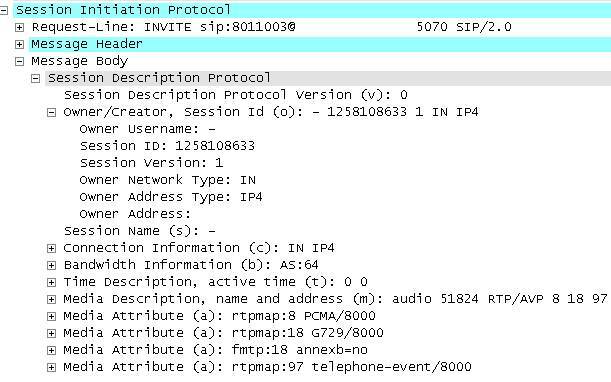 The access number ’82 47100′ forces the call to be routed to this unmonitored VDN via SIP trunk 82. The intermediate VDN (47100) is associated with a vector that routes the call to the real ERP (45100) using a route-to 45100 step. 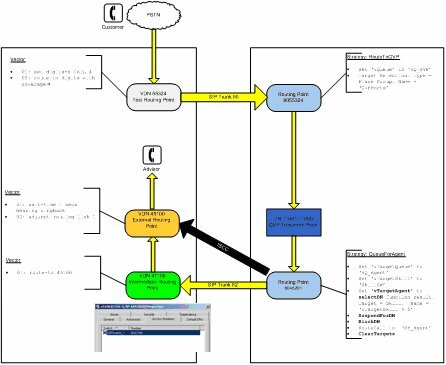 In this way standard Genesys ISCC functionality works e.g. attached data is preserved. Our pilot project eventually went live this Monday (16/11/2009). It has been quite an effort to get this far with many technical issues along the way (mainly SIP interworking with Genesys GVP and Stream Manager and Virtual Hold integration issues). Congratulations to all of the team. 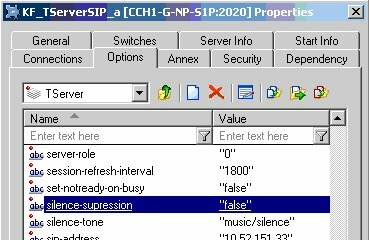 Further to my previous post, Genesys have confirmed that it is not possible to disable silence supression with GVP / IPCS 7.6. I had already found this out in the following post (http://www.sggu.com/smf/index.php/topic,4811.0.html) which Genesys support then usefully quoted back to me as the solution! Regardless, I still think that we have an Avaya MEDPRO problem relating to firmware FW49 and plan to test the latest FW51 as soon as possible. not specified, is inapplicable or is implied, then it is set to “-“. It is not quite clear from clear from RFC3108 if silenceSupp has to be negotiated for unicast connections or it can be different in each direction? For example, can caller say “silenceSupp:on” and this will turn on silence suppression on called side and then called can say “silenceSupp:off” to receive voice without silence suppression? More fun on the project this week! 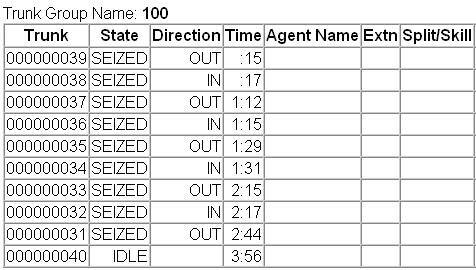 During final acceptance testing we noticed that the voice quality on calls when in GVP was degraded depending upon the DDI number dialled. Voice quality when in-queue (Stream Manager) and when connected to an advisor remained fine. We found that this issue has also been reported by other customers (http://www.avayausers.com/showthread.php?p=40786). 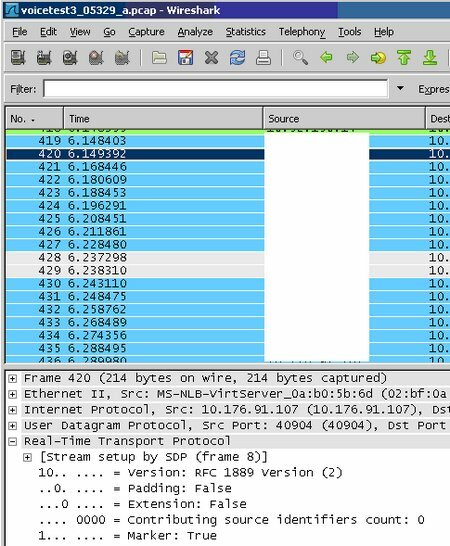 To further isolate the problem we obtained some Wireshark traces of the RTP stream out of GVP. 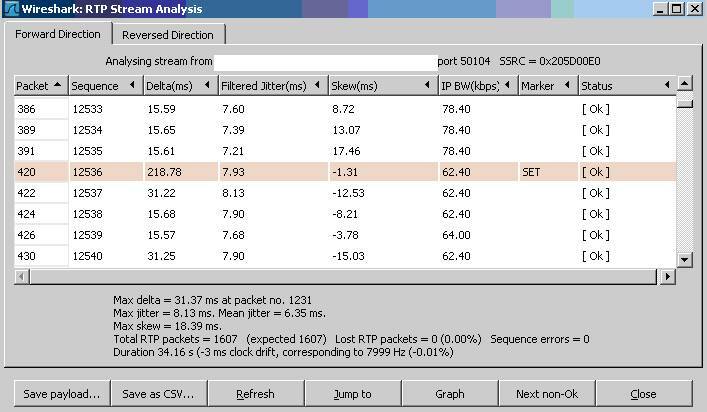 These traces showed that whilst Jitter was constant at 7-8ms the delta between RTP packets was not. We could also attribute these gaps into the RTP stream to HTTP page fetches between recorded audio segments. Therefore out first conclusion was that this must be a Genesys problem and MEDPRO firmware 49 must be less tolerant than firmware 46 to gaps and variation in the RTP stream. Since we use a G.711 codec (PCM) for the call, there should be one packet sent every 20 milliseconds. Therefore, in ideal conditions the Max Delta (ms) value should be pretty close to that. In this case the Jitter value also should be close to 0. The issue we have is that the RTP packets are not sent at a constant rate (ideally every 20ms). In the real world the delta of 220ms on packet 420 is an issue because it causes the voice quality of the stream as heard on the Avaya end to deteriorate. But hang on. Why would you want to send RTP packets of silence between recorded announcements and use up additional data network bandwidth just to keep the stream constant and the MEDPRO happy? 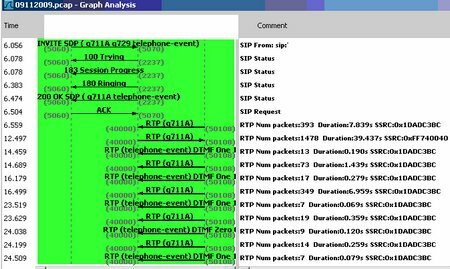 This brings us onto the subject of ‘Talkspurts’ and the RTP packet marker bit, the use of which is defined by RTP profiles such as the RFC 3551: RTP Profile for Audio and Video Conferences with Minimal Control (aka RFC 3551) and RFC 3389: RTP Payload for Comfort Noise. 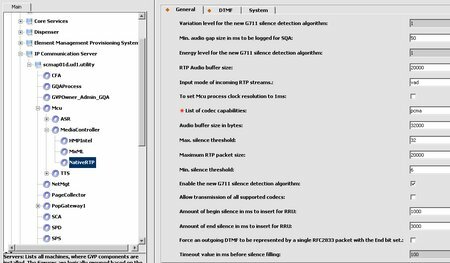 RTP allows discontinuous transmission (silence suppression) on any audio payload format. 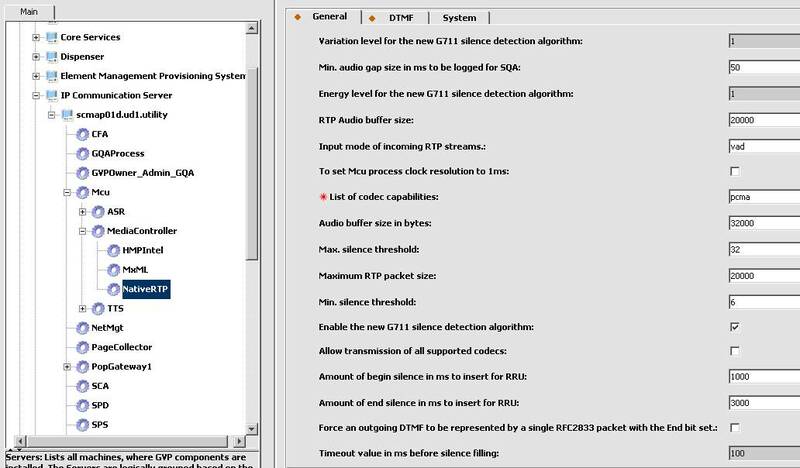 The receiver can detect silence suppression on the first packet received after the silence by observing that the RTP timestamp is not contiguous with the end of the interval covered by the previous packet even though the RTP sequence number has incremented only by one. The RTP marker bit is also normally set on such a packet. The market bit is intended to allow significant events such as frame boundaries to be marked in the packet stream. 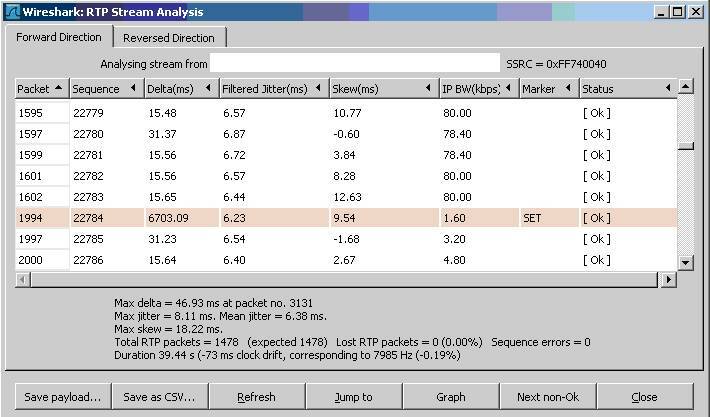 An RTP profile may define additional marker bits or specify that there is no marker bit by changing the number of bits in the payload type field. The Marker bit indicates the beginning of a talkspurt. Beginning of talkspurts are good opportunities to adjust the playout delay at the receiver to compensate for differences between the sender and receiver clock rates as well as changes in the network delay jitter. Packets during a talkspurt need to be played out continuously although listeners generally are not sensitive to slight variations in the durations of a pause. So it must be an Avaya problem! But hang on. Maybe it’s just a standard interoperability between Genesys and whatever telephony platform that we deal with all the time. Let’s re-trace what we know. In the Genesys world Silence Suppression can be configured both on SIP server and in GVP (IPCS) options. One thing that jumped out in the release notes was the following statement relating to Firmware 46: “FW46 introduces the ability to limit the maximum level of Comfort Noise Generator (CNG) via a new tunable VOIP parameter, Parameter 65”. During an active call, a certain amount of comfort noise is generated by the gateway so that the user does not assume that the far-end party has disconnected during silent periods of the conversation. The volume of this comfort noise is based on the ambient noise on the line. When excessive noise at 60 Hz and its harmonics is present, the volume of the comfort noise could be perceived as loud. Since the user can easily distinguish between the comfort noise and the hum, he perceives it as bursts of white noise when the other person is not speaking. To change the ceiling, parameter 65 can be used to set the maximum to a lower value. For example a value of 100 is approx -50dBm, which is a reasonable compromise that provides adequate comfort noise, yet not so loud to be disconcerting. If hiss is an issue, we recommend initially setting parameter 65 to a value of 100. A low non-zero value is preferred as a value of zero essentially shuts comfort noise off altogether. So putting all the pieces together I am sure that our problem is related to silence suppression and the maximum level of Comfort Noise Generator (CNG) configured on the Avaya MEDPRO. I’m off to make some changes and my starting point will be to compare the default value of all VoIP parameters on each MEDPRO at both firmware level 46 and firmware level 49. PS: Whilst I’m on the subject of MEDPRO firmware there we also some interesting notes in firmware 51 which may be related to my DTMF problems that I blogged about earlier! Previously, some badly formed incoming DTMF digits would not be detected. FW51 greatly improves DTMF detection. Previously, in certain configurations, the RTP-Event DTMF marker bit on TN2602 was not being sent. This now adheres to RFC 2833. Very useful tool is Wireshark! (http://www.wireshark.org/). In the example above you can see a large delta of nearly 6 seconds during which a GVP / IPCS page fetch occurs. More on that in a later post …. QoS can be applied to prioritise the delivery of latency-sensitive traffic such as VoIP services and to control the impact of latency-insensitive traffic such as bulk data transfers. The central problem of defining QoS for TCP/IP networks is how to specify and provide for prioritised delivery of IP traffic. To support QoS, the original RFC 791 for IP defined the Type of Service (ToS) field with the ability to specify precedence, delay, throughput, reliability, and cost characteristics. 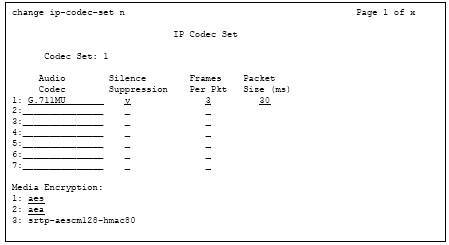 On CISCO routers, a Differentiated Services Code Point (DSCP) value can be specified in the ToS field of an IP packet. Differentiated Services (DiffServ) is a new model in which traffic is treated by intermediate systems with relative priorities based on the type of services (ToS) field. OK, so far so good. 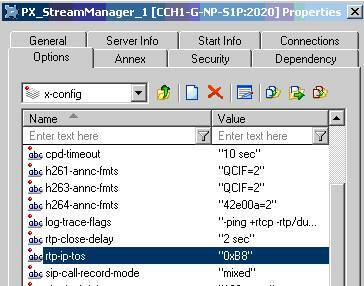 But how can we get Genesys components such as GVP and Stream Manager to set the IP_TOS value in RTP packets? 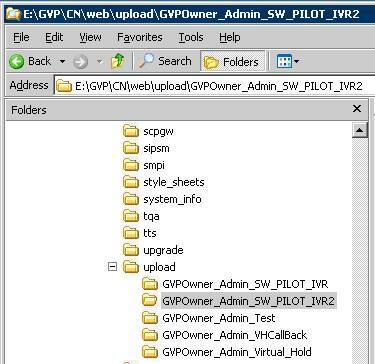 However, setting TOS bits is not possible within GVP 7.6 however this can be set within the network through a variety of mechanisms. For example when RTP packets from GVP arrive at the router they can be classified in a variety of ways such as using the source IP or destination IP addresses Layer4 protocol and port numbers, incoming interface, MAC address, etc. 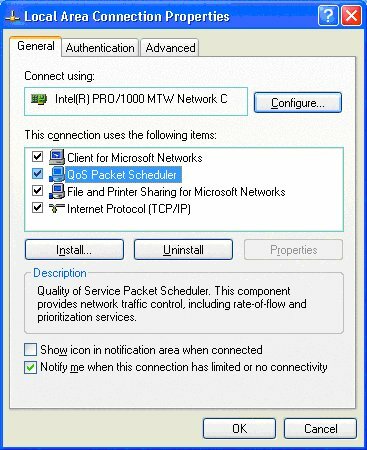 Additionally in Cisco environments it is possible to use NBAR (Network Based Application Recognition) to provide prioritisation based upon higher level protocols such as HTTP, RTP, etc. Typically this prioritisation results in setting of specific DiffServ priority levels. 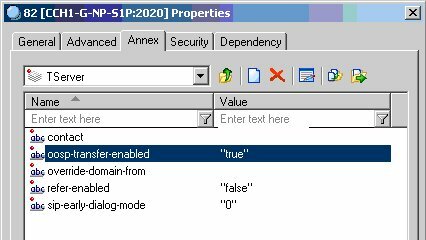 To support such as configuration it is possible to specify the RTP port range by defining custom attributes “PortLow” and “PortHigh” within EMPS. By default the port range used is 1025-65535. This one is very strange! A Google search of error code 0x80040003 revealed nothing of interest. To further diagnose the problem we wrote a small test application which worked fine when provisioned against a test IVR profile but still failed against the original IVR profile. 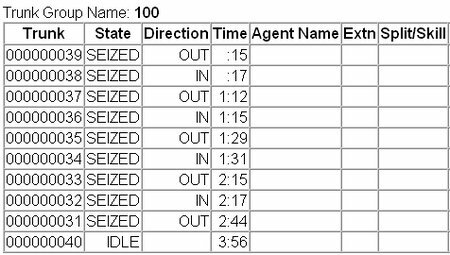 The IVR profile and provisioning data were checked and found to be identical (except for the provisioned DIDs of course). 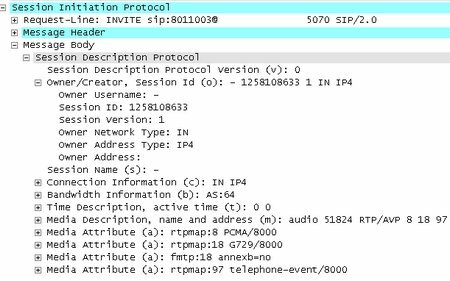 Moved the DIDs over to the test IVR profile and it worked fine! Then regenerated the IVR profile – still no joy. Finally fixed then problem by deleting the existing IVR profile and then creating a new one – painful! Had this known annoyance again today and thought that I would post the solution before I forget it again myself! The solution is to start a command window and run “net use”. If a share of the same name is already present run “net use <name of share> /delete” and the problem will go away!